Flutter is an open source mobile app development SDK from Google, used to build beautiful Native Android and iOS apps with a single codebase. Dart is the language used to develop Flutter apps. Flutter is now out of beta and Flutter 1.0 was announced on Dec 4th. 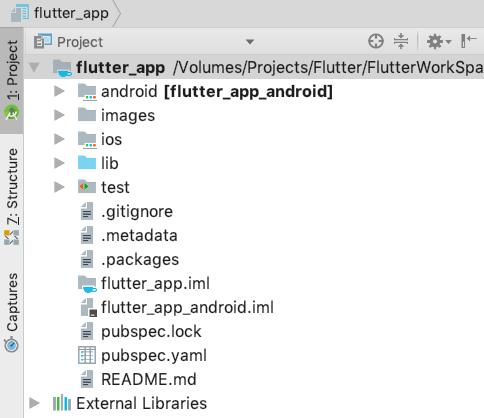 This article covers how to install Flutter and the development environment, and also shares solutions for the most common requirements and issues faced in Flutter app development. The process below is more helpful for Android developers who want to try their hand at Flutter app development. Add Flutter tool to the path from the terminal. PWD → Present Working Directory. This is a temporary path setting, so when you restart your system, you have to set the Flutter tool path again. Note: To set the Flutter path permanently in MacOS and avoid setting on every restart, do as shown below in your MacOS terminal. “PWD” → Present Working Directory. To run the app in Android Emulator, you must install Android Studio to get the Android SDK and emulators. Download Android Studio and run the .dmg file. It will automatically install the latest Android SDK. 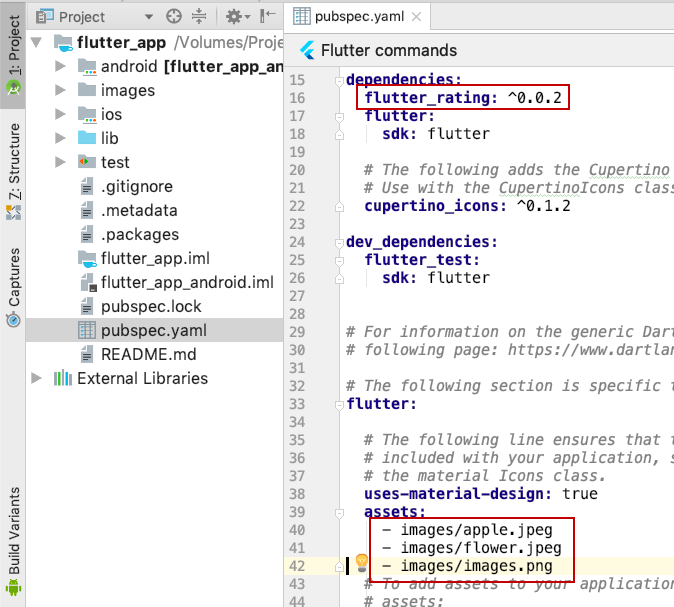 If you prefer to use Android Studio as your main IDE to develop Flutter, you have to set dart language support to Android Studio as shown below. From here we will be focusing more on Android Studio setup, but you could also use Visual Studio Code or IntelliJ (which is similar to Android Studio). Preferences → Plugins → Browse Repository → type Dart in search bar → Install and Restart Android Studio. Preferences → Plugins → Browse Repository → type Flutter in search bar → Install and Restart Android Studio. To execute the app in iOS simulator, we must install Xcode. Get Xcode from App Store and install. You can see the Flutter Device Selection button below the toolbar in Android Studio. If you have already installed Xcode, clicking the Flutter Device Selection button opens the iOS simulator. In this article, I am using Flutter with Android Studio. In the Project section, the above screenshot shows the structure of the Flutter app. android: Has all the Android related files. iOS: Has all the iOS-related files. lib: Has all the dart files. This is the main folder, where we can write all the application code. test: Has all the testing code. images: I created this folder. This has all the images we used in our application. pubspec.yaml: Has all the third party dependencies and the assets we use in our application. yaml — Yet Another MultiColumn Layout. flutter_rating is the third party dependency. specify file path with folder name and file name or only the folder name. images/apple.jpeg → we can use only apple.jpeg image. images/ → we can use all images that are in the images folder. Make sure that dependencies are properly aligned with spaces. Otherwise, the images won’t display. This particular issue is hard to figure out if you are fairly new to Flutter or YAML. Android folder → app → src → main → Open Manifest → change the label in Application tag. Expand the Android folder → app → src → main → res → add app icons in mipmap folders. Expand the Android folder → app → src → main → open Manifest → change the icon in Application tag. In that folder add all app icons. Expand iOS folder → Runner → Assets.xcassets → AppIcon.appiconset → update the Contents.json file. Expand Android folder → res → drawable → in Launch_background.xml, add bitmap tag. I hope the above setup instructions and advice on how to set a few basic requirements are useful for beginners in Flutter app development. As Flutter is now out of beta, I look forward to seeing more and more developers using Flutter for developing Android and iOS apps with a single codebase. For motivation, check out this Widgets Library website built by the Flutter community.